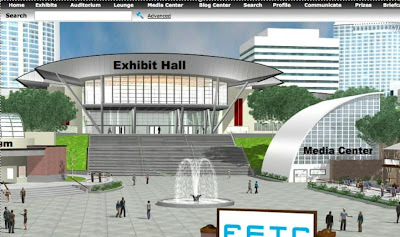 FETC: On-Demand At Your Convenience From Your Desktop! We know that DEN pioneers firsts, and today brought yet another. If you missed FETCs Virtual Conference, now you can view it on demand, at your convenience. Let’s give a virtual applause to the Florida DEN/LC for creating two firsts: first LC virtual conference and first on-demand viewing. Bravo! If you missed attending, you can “attend” by clicking here. The virtual conference offers incredible resources to download, all free and available to qualified registrants until July 23, 2009, 5:00 p.m. ET. You will find virtual events exploring the most pressing issues related to 21st Century Skills, from your desktop—at your convenience! Check out the on-demand sessions, excellent speakers, networking and product demos—at NO CHARGE! And there you have it: fast, free, fun firsts–the cutting edge that only DEN delivers.